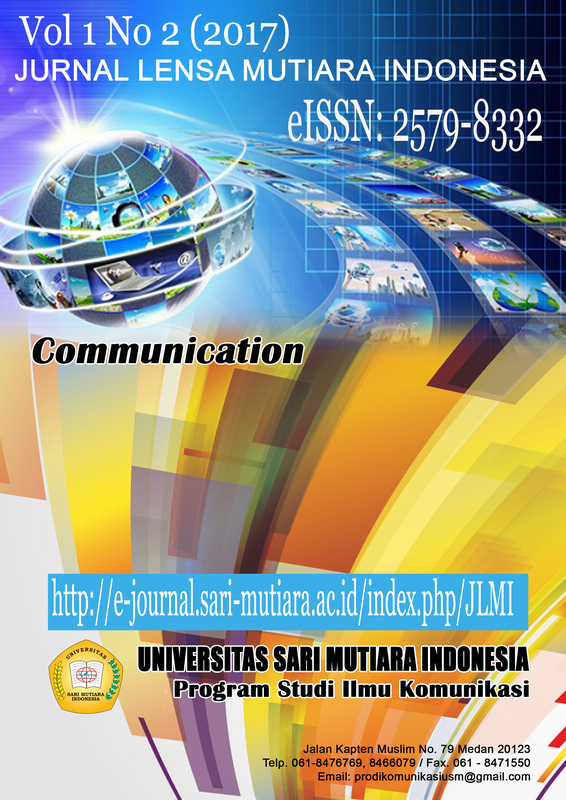 The purpose of this study was to determine the likelihood of interpersonal communication and increase awareness of the Reverend Congregation for the active Christian worship in the Church of Jesus Christ Church of God Baithani Medan. To find out how much interpersonal communication relationships Reverend affect the increased awareness of the Church of Jesus Christ is Lord of Medan. Want to know the factors of interpersonal communication that have an influence on increasing awareness of the Church to actively pray at the Church of Jesus Christ Christian Church of God Baithani Medan. The theory used in this study are SOR. SOR theory is the abbreviation of the stimulus (S), Organism (O), and Response (R). Actually, this theory was originally adopted from Stimulus Response model of the psychological approach. So the elements - the elements in this model is a. Message (Stimulus, S) b. Communicant (Organism, O), and c. Effect (Response, R). Learning occurs when there is a response to stimulation of the organism. Thus the stimulus is very important so as to foster interest, understanding and acceptance. In this study, the stimulus is the message conveyed by the minister of communication, attention, understanding and acceptance Baithani Church Christian Church Church of Jesus Christ the Lord is the response of Medan and cognitive effects of increased awareness of the Church to actively pray. In this study sampling techniques using a sample group (Clusters of samples) because the population is composed of categorical groups. The number of samples taken was 20% of the total population, 534X20% = 107 people, divided proportionally based on categorical groups. For the determination of the next sample used purposive sampling methods, sampling the aims, namely to make the following considerations: 1) member Church of Jesus Christ is God Baithani who live in the city of Medan. 2). Member Church of Jesus Christ Christian Church of God Baithani active attending services Sunday at the Church of Jesus Christ Christian Church of God Baithani in Medan. Investigators used a study design is to use Correlational Method to find the relationship between the independent variables with the dependent variable. The design of this study researchers used quantitative research is correlational in design to see the effect of Communication Inter Personal Pastor (X) to increase awareness of the Church to actively pray at the Church of Jesus Christ Christian Church of God Baithani Medan (Y). Based on the results research found that interpersonal communication Pastor (X) has a strong influence to increase awareness of the Church to actively pray at the Church of Jesus Christ Christian Church of God Baithani Medan (Y). Thus there is a relationship interpersonal communication Pastor to increase awareness of the Reverend Congregation for the active Christian worship in the Church of Jesus Christ Church of God Baithani Medan.